Where do we go when we’re gone – and what if the answer is just a continent away? In Before the Storm, we get the setup for the upcoming battle between Alliance and Horde in Battle for Azeroth. But beyond that is a poignant glimpse at lives that have been all but forgotten, to some. The Forsaken are undead – but they’re also the last lingering remnants of the kingdom of Lordaeron. They’ve regained their free will, and while some have rebuilt new lives, others haven’t forgotten the days of old, or the people they’ve left behind. Please note: This is a spoiler-free review. We ask that you keep the comments spoiler-free as well, for people that haven’t had the opportunity to read the book just yet. Before the Storm deftly continues to follow the story of King Anduin Wrynn in his new role as leader of Stormwind and the Alliance. Anduin’s just eighteen, as the book reminds us – and his outlook on life and the world around him is a stark contrast to his father’s view of the world. 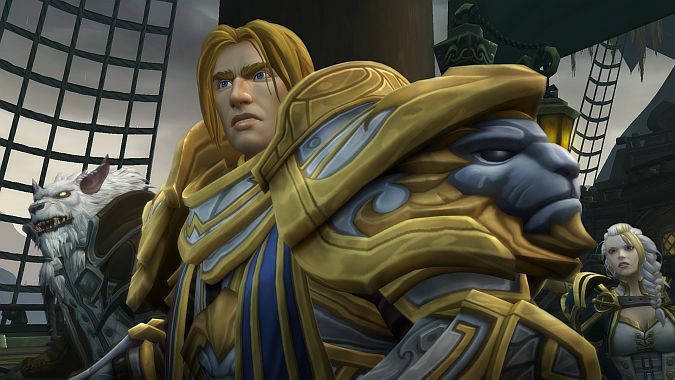 While Jaina may have turned away from her persistent quest for peace, Anduin is focused on a future of unity, a world of harmony between factions. Whether or not the rest of the world will fall in line behind his lead is a heavy question. Also in the mix is Warchief Sylvanas Windrunner, leader of the Forsaken — and now, the Horde. 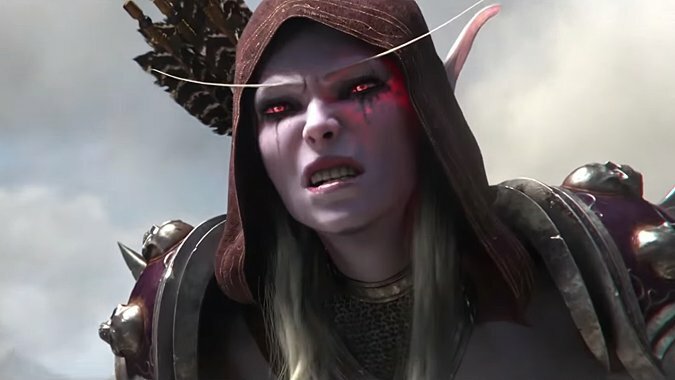 We got a much more in-depth look at Sylvanas and her reasoning back in War Crimes, and that view is expanded here. Sylvanas was shoved in the spotlight in Legion, promoted to leadership of the entire Horde after Vol’jin’s fall. But her heart – such as it is – has always been with the Forsaken. Even in Legion, her actions reflected a zealous interest in securing a future for the Forsaken. And although her change in roles may have taken her away from the Undercity, her intentions still rest there all the same. But her absence left a vacuum behind, and it’s been filled by the Desolate Council. Golden takes a different route with the Forsaken in Before the Storm. Some Forsaken may, yes, be evil to the core – but others are just haunted remnants of what they were. Sometimes cheerful, sometimes wistful and sad, but at the heart of it all, still very much human, despite their state of decay. It’s that still-present link to humanity that Golden latches onto, and it paints a different picture of the Forsaken than we may be accustomed to seeing. It’s a view I appreciate. One of the more interesting surprises from World of Warcraft: Chronicle Vol. 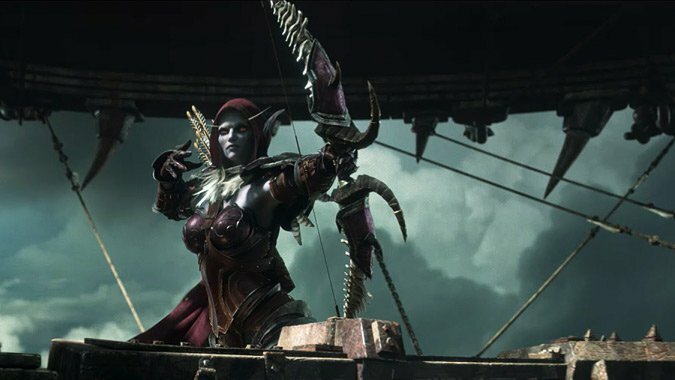 3 was the reveal that Sylvanas had, in fact, tried to reach out to the Alliance after the Third War. She supposed – logically enough – that perhaps the Humans of Stormwind would be interested in aiding their fallen kin. She was wrong on that front, and the ambassadors she sent on the task never returned. The hand, tentatively outstretched, was slapped away. While Sylvanas has emerged in recent years as a multi-faceted character in her own right, the same couldn’t really be said about her people. Forsaken zones and Forsaken quests always seemed to step into the same one-dimensional “evil” role, with little to suggest otherwise. In Before the Storm, Christie Golden begins to paint a very different picture of the Forsaken, adding depth to the race that simply wasn’t present before. It was there, if you thought about it – lingering questions about how the Forsaken viewed themselves and the rest of the world. But it wasn’t really reflected in-game or in prose. 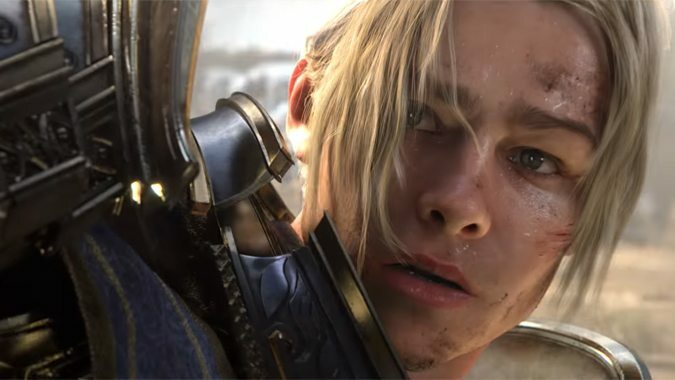 Meanwhile, we’ve watched Anduin Wrynn grow up over the course of the game, from that little boy acting as King of Stormwind in Classic WoW all the way to his very real ascension to the role in Legion. Yet he wasn’t exactly…present in Legion. 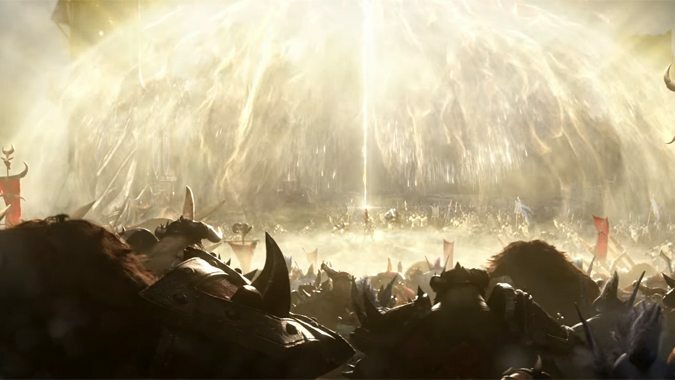 Alliance players got a brief update on how their new King was doing in a quest and beautiful cinematic from the Broken Shore, but we never quite got to see how Anduin was handling everything. Anduin has always been a proponent of peace, yet the world is persistently mired in war. How is he holding up? We get some answers here, and a closer look at the perpetual struggles of a newly-crowned King. It isn’t laid out like that in Before the Storm. Readers are left to come to their own conclusions, whatever those conclusions may be. The book doesn’t take sides, doesn’t choose one faction over the other – it allows the reader to see both sides, the good and the bad. Azeroth is suffering – and her residents, as small as they may be in context, suffer with her. This is the best book I’ve seen from Christie Golden. This is easily the best book in the World of Warcraft series, and I don’t say that lightly. WoW has always had the faction conflict; it’s been there since day one. In some expansions we come together, only to fall apart in the next. The issue of that conflict – the heart of that conflict – is danced around, never really addressed. The potential for peace is something that’s been talked around, but it’s never been given a hard, lingering look. Christie Golden tackles the delicate subject head-on, shining the spotlight on our heroes at their most difficult moments. There are no pat speeches here, there’s simply raw, unfiltered humanity, reflected in the eyes and hearts and actions of every race in the Warcraft stable. I’m going to say this once: Bring tissues. You might not think you need them, but Golden is terrifyingly skilled at ripping our hearts out with a few choice words. You’ll need them. Trust me. Before the Storm is presented as the tie-in novel to WoW’s next expansion, Battle for Azeroth. But while, yes, events preceding the expansion are brought to the spotlight, it’s so much more than a tie-in novel. The faction you’ve chosen to play doesn’t make a bit of difference as far as this book is concerned. We aren’t presented with two cardboard factions in a perpetual slap-fight here; we’re shown a series of characters, each as deeply complex and multi-faceted as we are ourselves. It’s a beautiful book. If you haven’t yet, you can order your copy of Before the Storm on Amazon, also available in ebook and audiobook formats. It hits the shelves today, June 12. We’ll be discussing the book, spoilers and all, in detail on the next Lore Watch – if you read the novel and have questions, feel free to email us and submit them for the show.